Picking a diet that is not sustainable for you for long can fail to help you lose weight. Your diet plan should be able to fit with your preferences and lifestyle. 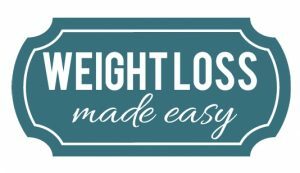 Wrong diet plans only work in helping you lose weight for a short time, and then you end up gaining more weight upon failure to sustain. You should pick a diet plan that you can comfortably accommodate for the rest of your life. Consistency is critical to help your body maintain basal metabolic rate thus help you lose weight and remain in shape. For you to lose weight, more calories must be burnt relative to your consumption. Men require a daily calorie intake of between 2,200 and 2,800 while women need between 1,600 and 2,000 to maintain the necessary energy levels. Daily calorie intake that is below 1,200 for women and 1,400 in men can have negative implications on your health such as malnourishment thus, interfere with the working of your diet plan. Your body reacts to low-calorie intake by slowing down on the rate of metabolism and starting to store sugars and fats instead of burning them for fuel. Again, your muscles begin to break down to cover for the decline in calorie intake leading to food cravings. Food cravings will undoubtedly make your diet plan fail, and you will gain even more weight. You require to exercise for your diet plan to work. Exercises enhance the body’s rate of metabolism. Your body mass index influences the number of calories your body burns even when you do not exercise. Lack of exercises makes your muscles wear down which affects the burning down of calories. Being on a diet plan but fail to exercise is thus counterproductive due to muscle loss. If your body is resistant to insulin, it tends to be more active in calorie storage rather than burning them down. Accumulation of fat will lead to an increase in weight. To overcome this resistance, eat more carbohydrates and do a lot of exercises. The time when your body requires to sleep and eat is regulated by hormones. Circadian rhythms make our bodies to function at optimal levels when we have a similar pattern for meals and sleep. Sleep deprivation causes weight gain.Additionally, lack of enough sleep can cause you to be stressed which can increase food intake. Feeding on a limited diet deprives your body of essential macro and micro nutrients that are required for optimal performance. You should be diverse in your meal plans to help the body receive all the needed nutrients including minerals and salts which are useful in enhancing other body functions such as water intake which helps improve the rate of metabolism and reduce cravings for junk foods. Your diet should be guided by metabolism and body type among other factors. Consumption of whole foods is vital in contributing to weight loss. 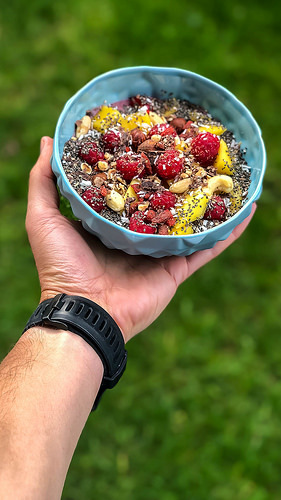 Consume foods high in carbohydrates when you have intense exercises to energize the body and foods high in proteins and vitamins during resting days. You might be having some medical conditions that make it hard for you to shed weight. However, this only affects a small percentage of the population and are more inclined to individual lifestyles. You should talk to your doctor if you think that you might be having a medical condition that is negatively impacting on your weight loss plan. Medications can contribute to weight gain due to the various side effects they have on the body including weight gain and loss. You should find out the potential drawbacks of the medications you are using when on a diet plan. Next Post Next post: What is a Cleanse Diet?